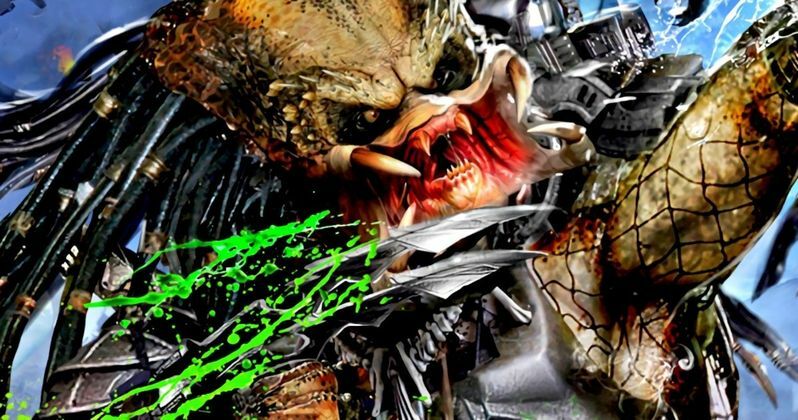 The recent reshoots on The Predator were apparently more than just a little touch-up, as most of the third act was rewritten and reshot, according to star Keegan-Michael Key. Director Shane Black has been working on the long-awaited reboot of the franchise for quite some time now and recently went up to Vancouver for reshoots. Now, Key reveals just how much was done during the reshoots and paints the whole experience in a very positive light. Keegan-Michael Key is promoting Hotel Transylvania 3 and, during a recent roundtable interview, he was asked about the nature of the reshoots on The Predator. While the actor admits that a lot had to be reworked, he doesn't sound in any way concerned and has nothing but praise for director Shane Black. Here's what he had to say about it. "We just finished (reshoots) last week, and just about three-quarters of the third act was rewritten. And Shane Black is... he's just a consummate professional, and a consummate writer. He's a wordsmith! It was a really, really exhilarating experience, and I think that he's still one of our most vibrant writers of cinema." There are a couple of ways to look at something like this and a few things to consider. First off, the face value information. Three-quarters of the third act was rewritten. That's a sizable chunk. No two ways about it. However, reshoots are extremely common on big movies these days. Sure, it would have been nice to hear they nailed it the first time out and just had to do some touch-up shots, but that doesn't appear to be the case. But Fox did feel that The Predator was worth putting up the money for and they want to get this thing right. It's better to recognize the problems and fix them rather than just try to polish a turd. Then there's the matter of Keegan-Michael Key's very positive tone. Nobody involved in a big studio movie is going to be outwardly negative about it, so it isn't as though we could expect him to talk trash. But at the same time, he doesn't have to heap praise upon Shane Black and he also didn't have to be so frank about what was done. Were Key concerned, would he actually be so candid about how much was reshot for The Predator? Sure, the release date has been moved a few times, which is oftentimes a sign of trouble, but it really does sound like Fox and Black are trying to get this right. The Predator is set for release on September 14. The first teaser trailer will debut at CinemaCon this month in Las Vegas, arriving online not long after for the world to see. So, in the near future, we'll have a much better idea as to whether or not this is going to be the fresh start for the beloved sci-fi franchise that we all hope it's going to be. This news comes to us courtesy of CinemaBlend.